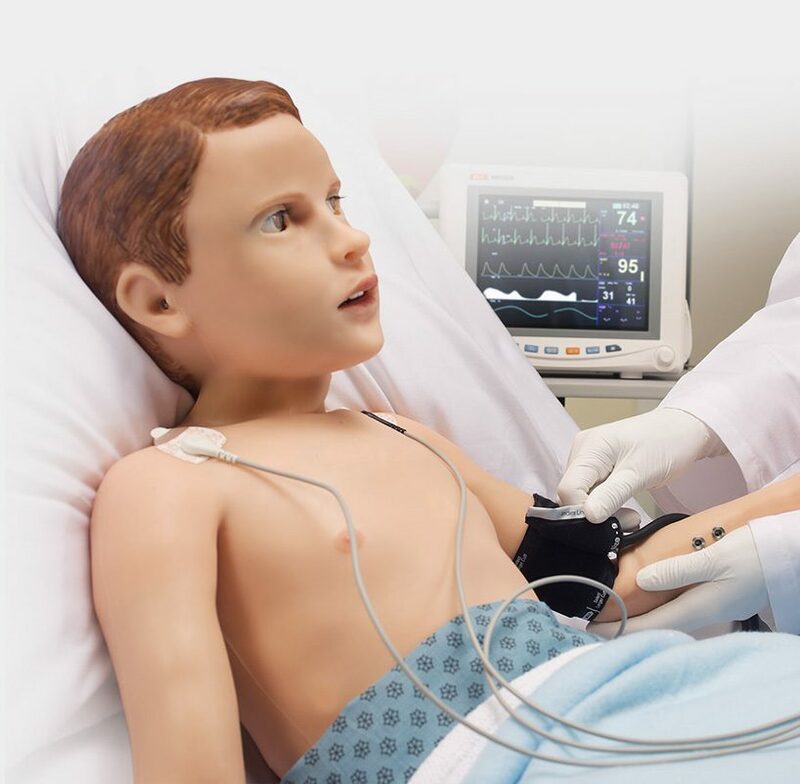 HAL ® is a pediatric patient simulator capable of illustrating facial expressions, lifelike emotions, movement and speech. 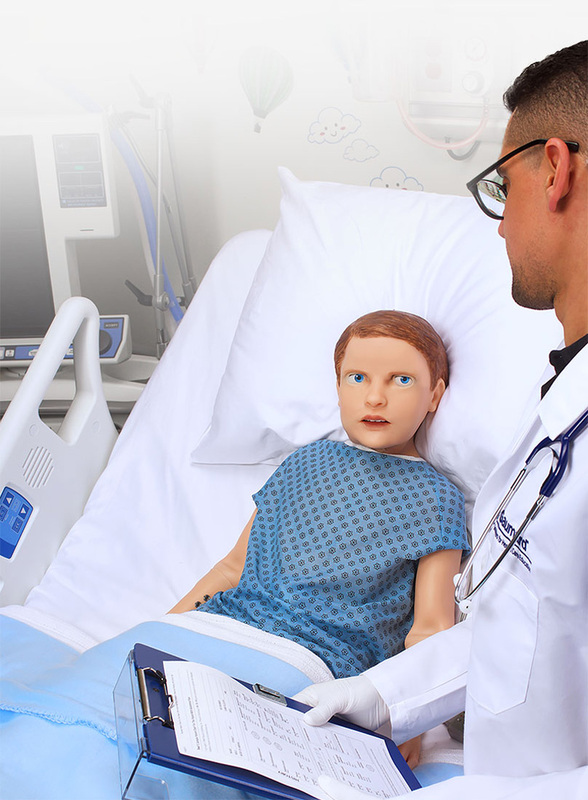 designed by health care simulator manufacturer gaumard, the boy robot is built to help medical students of all levels develop the specialized skills they need to communicate, diagnose and treat young patients. 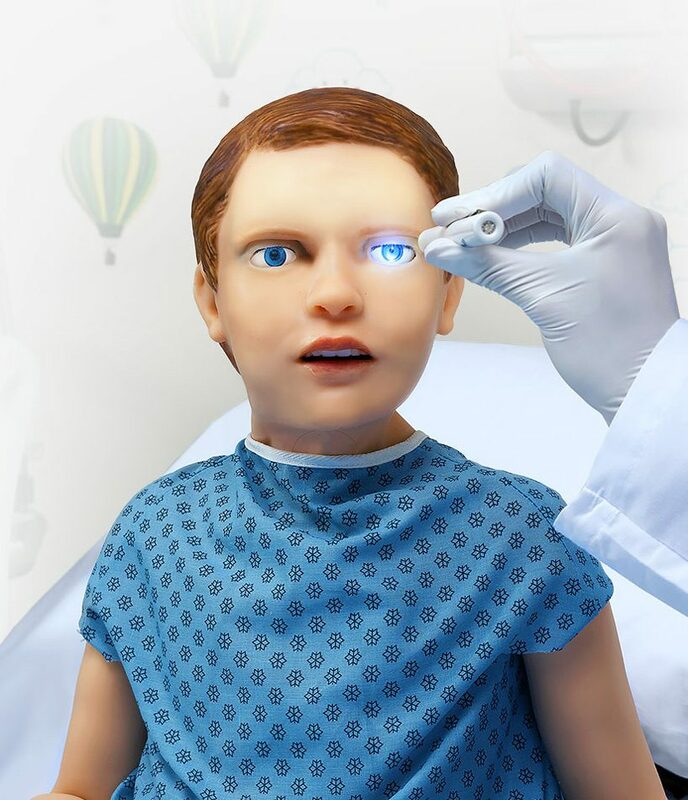 through scenario-based learning, HAL is able to answer a series of questions and simulate a variety of common emotional states, stored in its powerful UNI software that also lets users create their own facial expressions and emotions to expand the scope of learning experiences. some of the presets included in the UNI library are: anger, transient pain, ongoing pain, amazed, quizzical, worried, anxious, crying, and yawning. receive real glucose testing via finger-stick, and get real-time SpO2 monitoring. 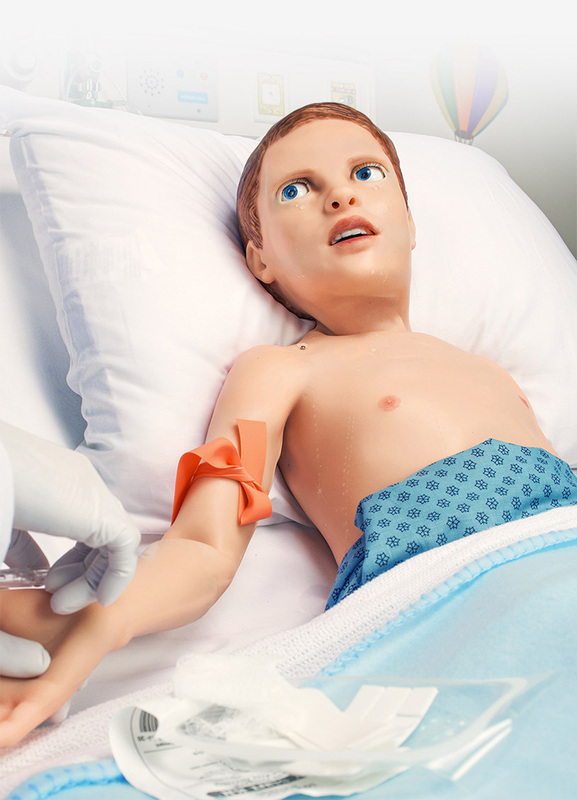 pediatric HAL also provides immersive skills-training for emergencies and features surgical sites for needle decompression and chest tube insertion exercises using real instruments. 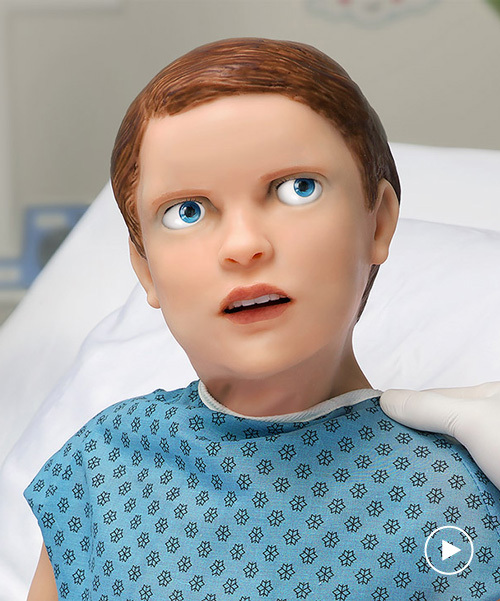 thanks to its ultra-high fidelity, anatomical, and physiological features, the robot supports the practice of advanced-level algorithms using real tools and clinically accurate techniques.